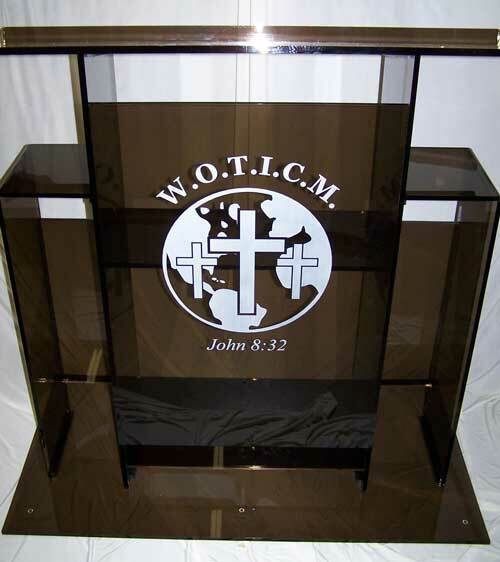 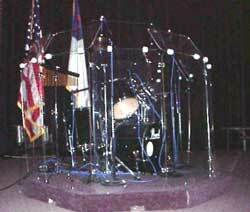 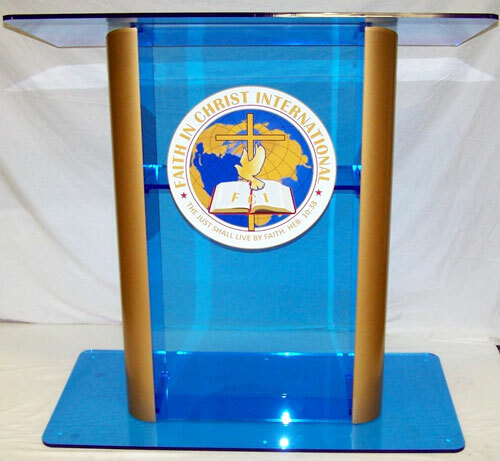 Curtis Products Group is a manufacturer for acrylic church furniture, church podiums, church pulpits, lecterns, communion tables, drumshields, tithe and offering boxes. 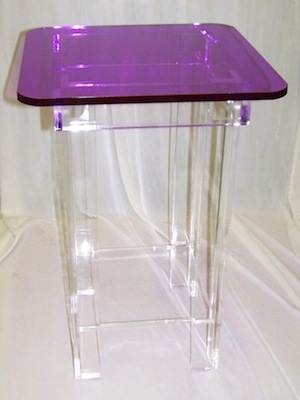 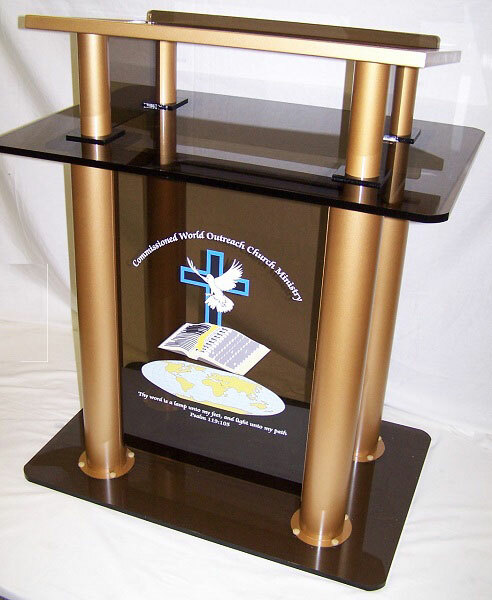 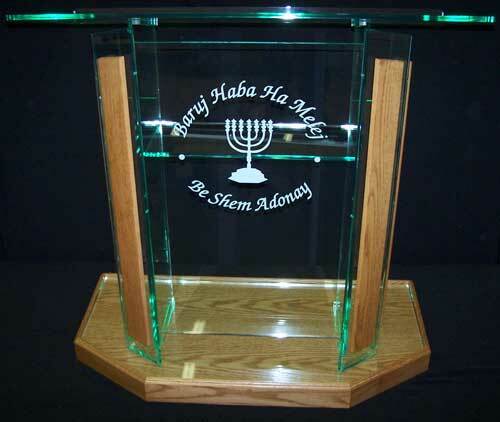 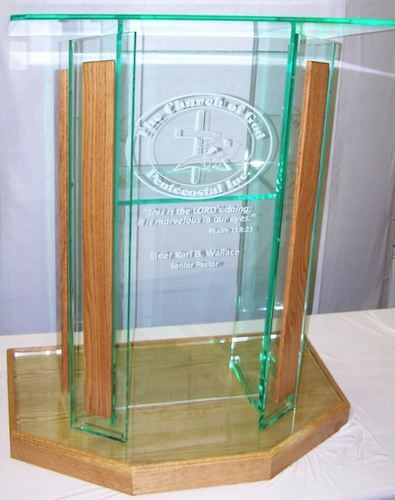 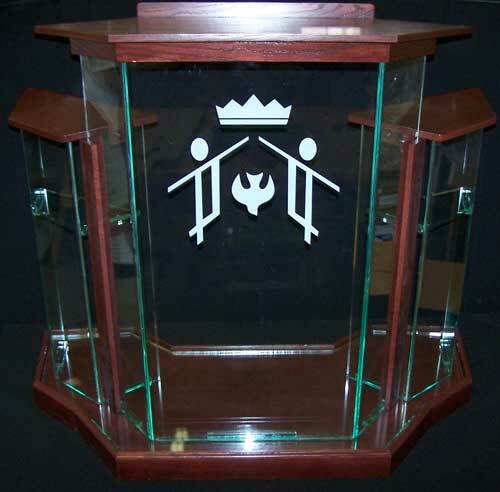 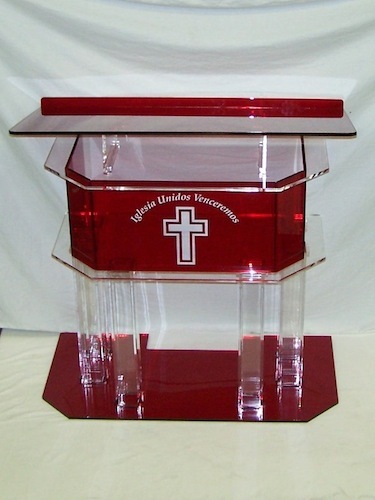 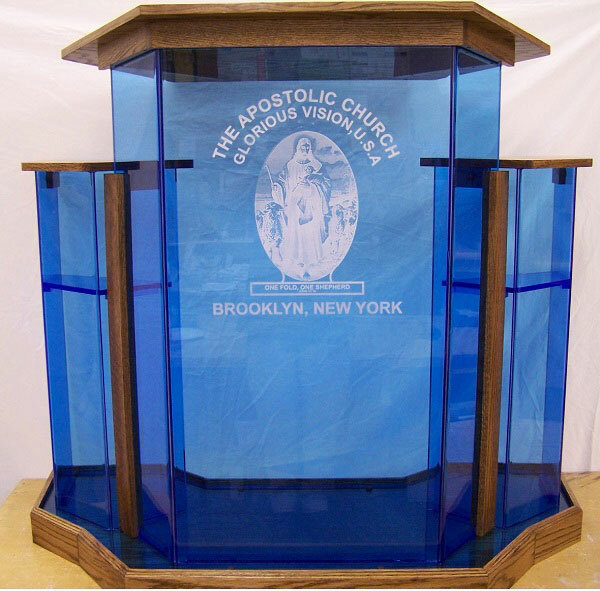 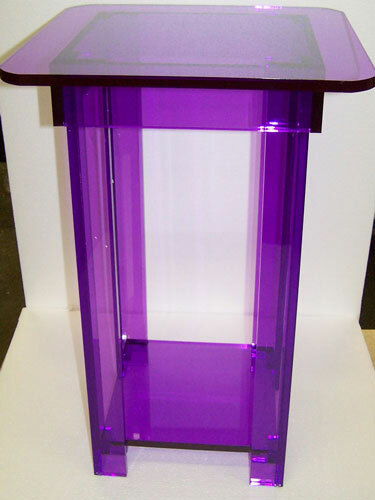 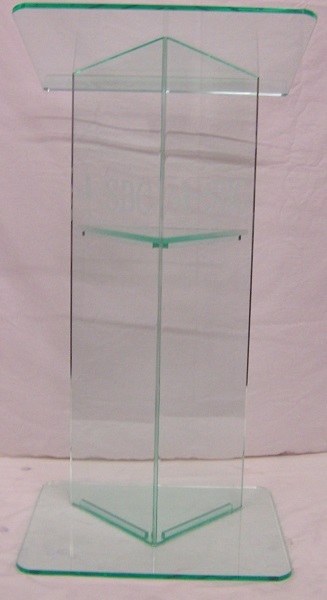 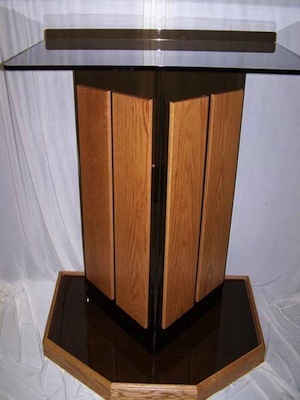 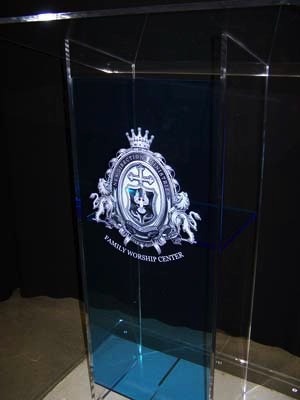 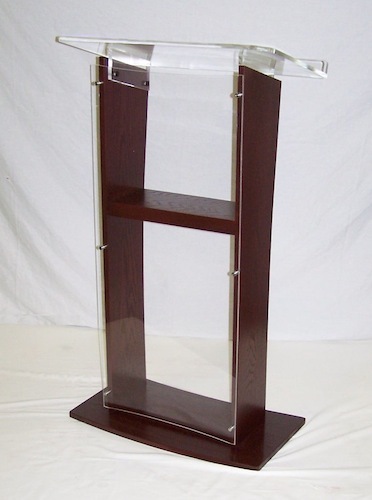 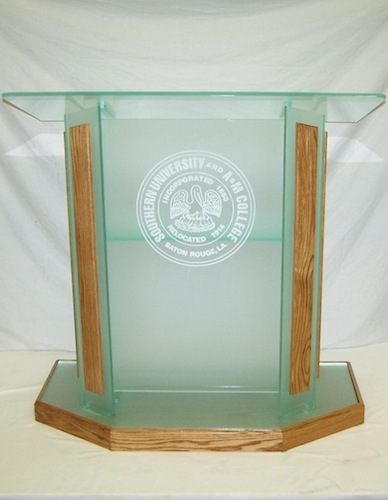 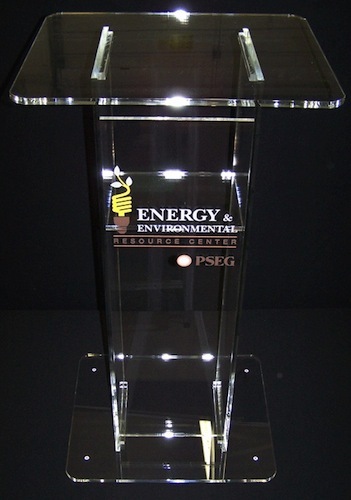 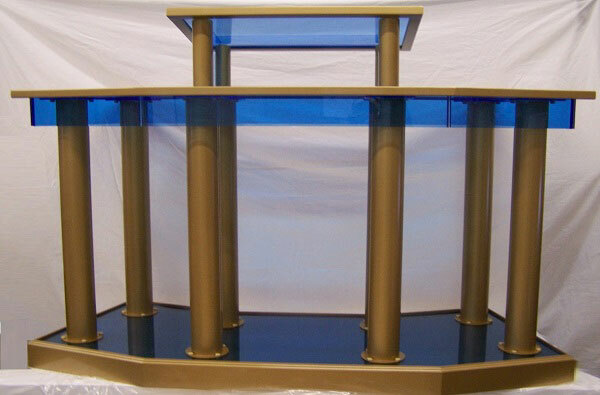 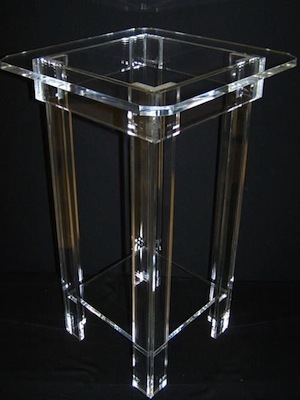 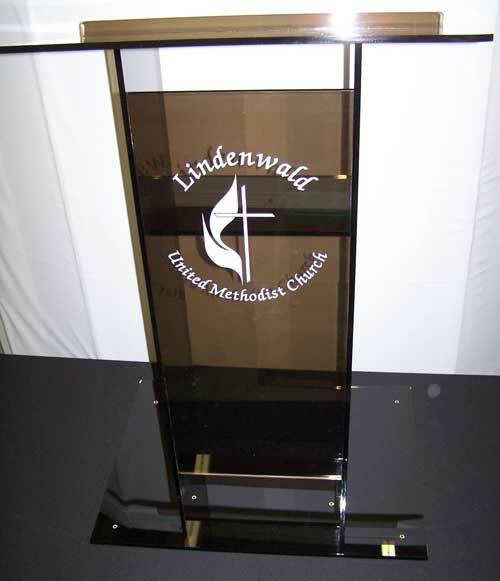 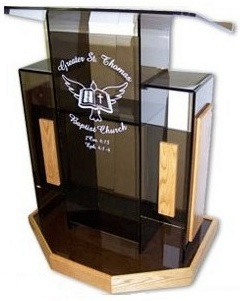 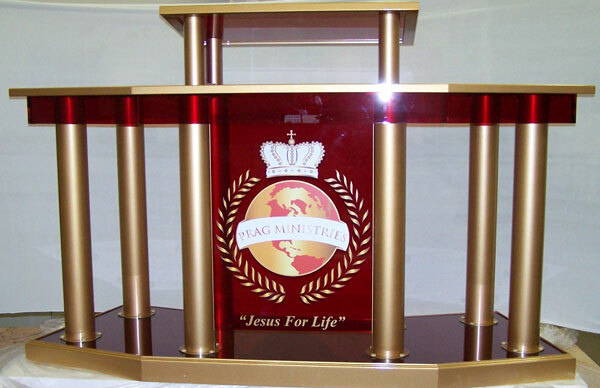 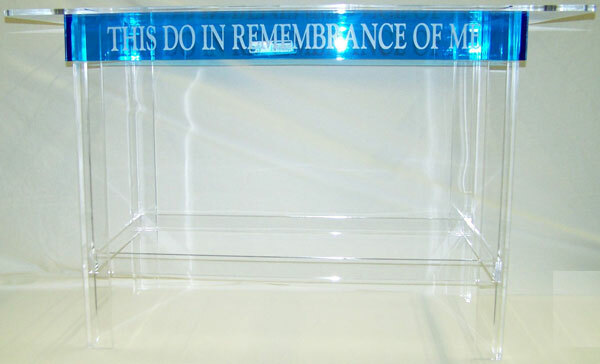 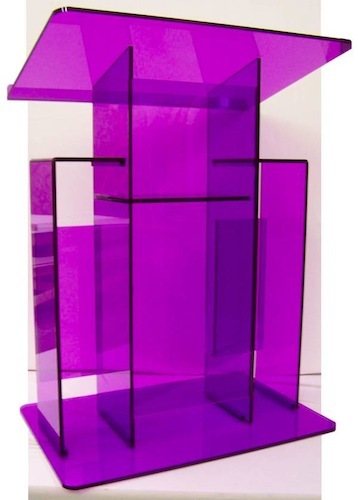 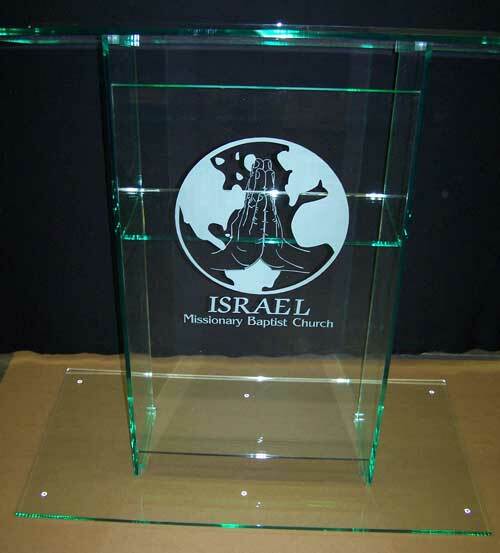 With twenty years in business, we can promise the highest quality acrylic podiums and pulpits at affordable pricing. 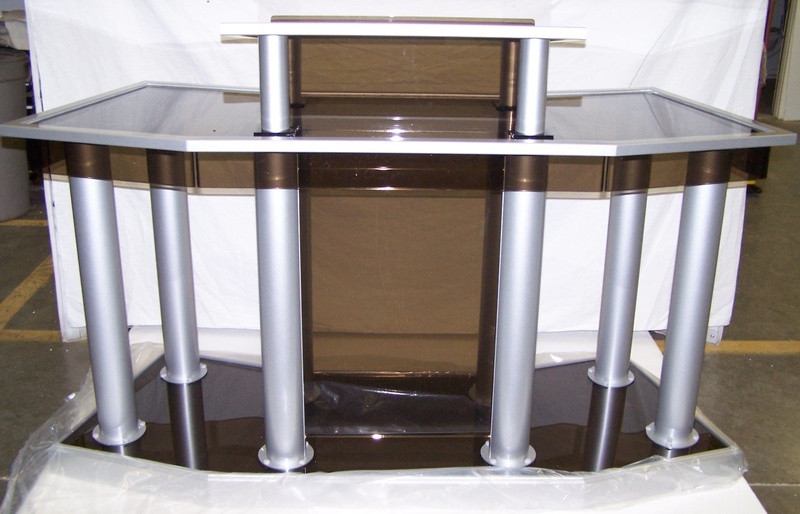 We offer a range of product styles and options, so please explore our site. 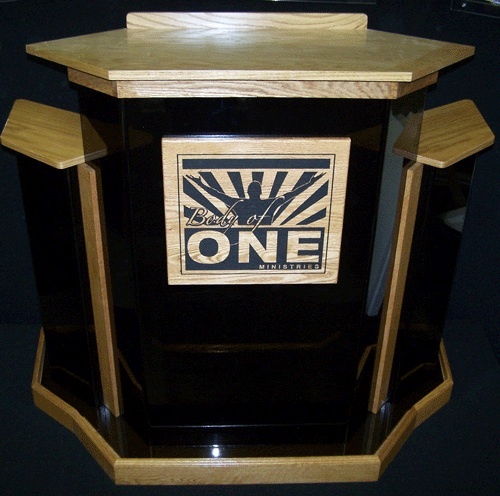 All of our products are handmade in the USA. 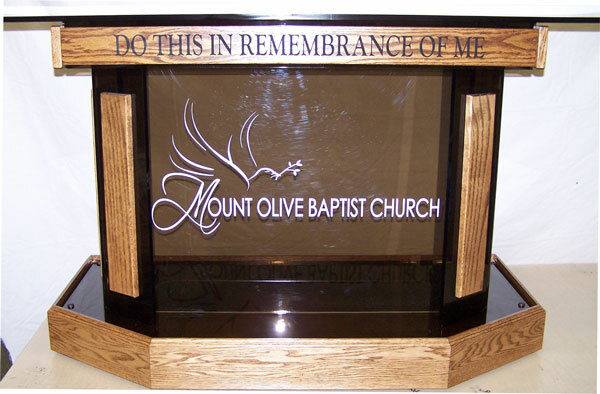 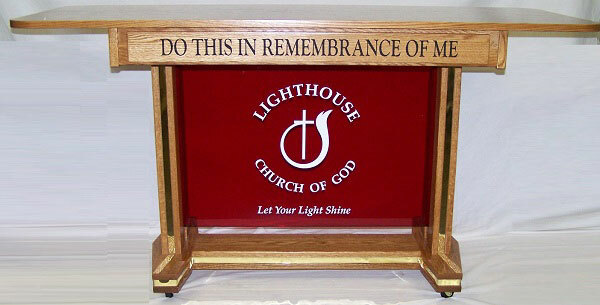 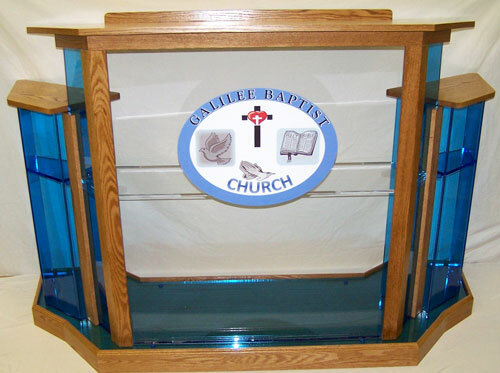 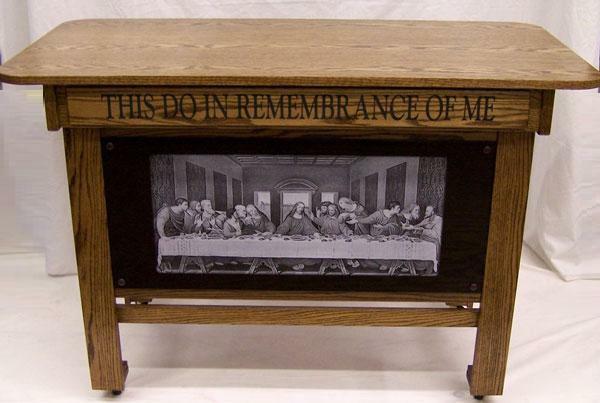 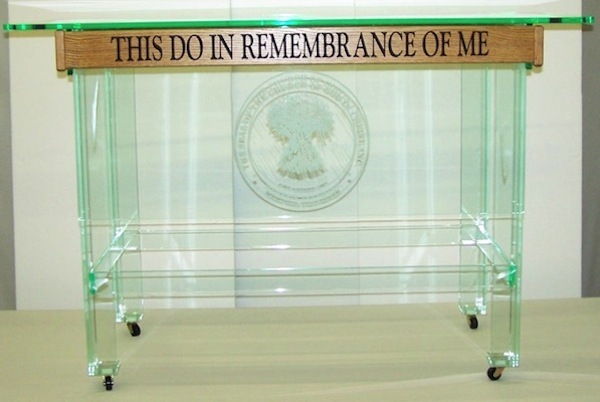 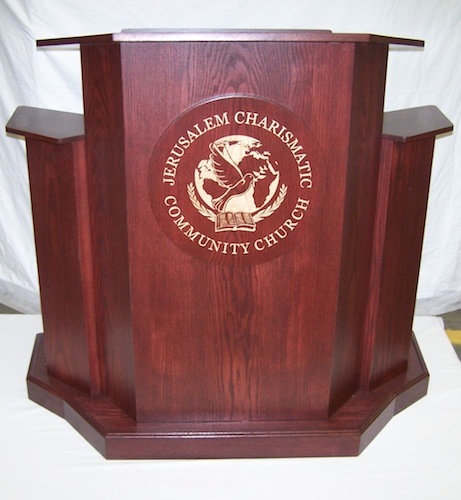 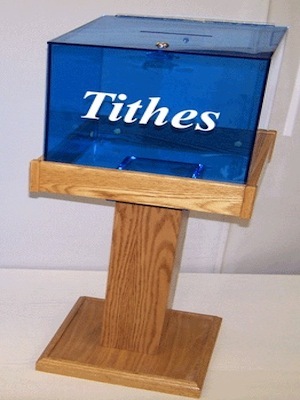 Have your own church or company artwork etched onto your podium or pulpit. 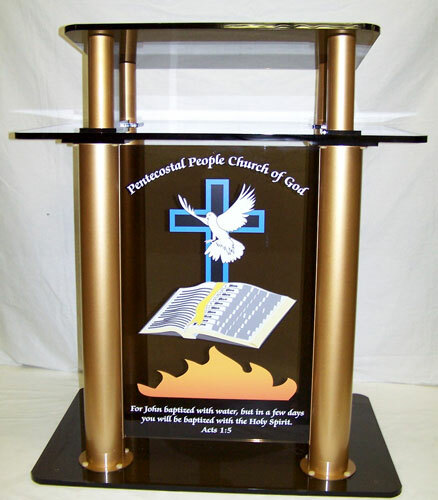 We'll work with you to create the perfect pulpit.